Israeli airstrikes on Thursday in Syria killed at least 23 military personnel, including Syrians and non-Syrians, according to a group monitoring the Syrian civil war. The U.K-based Syrian Observatory for Human Rights “documented the death of 23 people at least as a result of the Israeli missile strikes, which targeted several military positions and points of the regime forces and allies in scattered areas in central Syria, near the capital Damascus and Rif Dimashq, the western countryside of al-Suwaidaa and the triangle of Daraa–Quneitra–West of Rif Dimashq just before dawn of Thursday the 10th of May 2018,” the group said. However, the Syrian Army has denied these figures, claiming only three people were killed and two injured in the Israeli airstrikes. Israeli Defense Minister Avigdor Lieberman said the Israel Defense Forces had destroyed “nearly all” of Iran’s infrastructure in Syria. 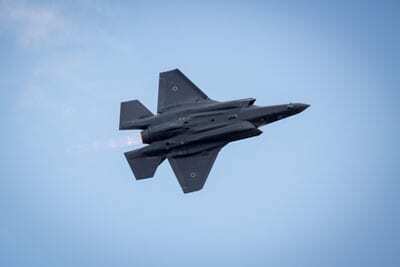 The IDF also said that it targeted a number of Syrian air-defence systems as well that had fired on Israeli planes. When Nasser announced that his troops were marching through Tel Aviv in 1967, they were already halfway back to the Suez Canal, in full flight.